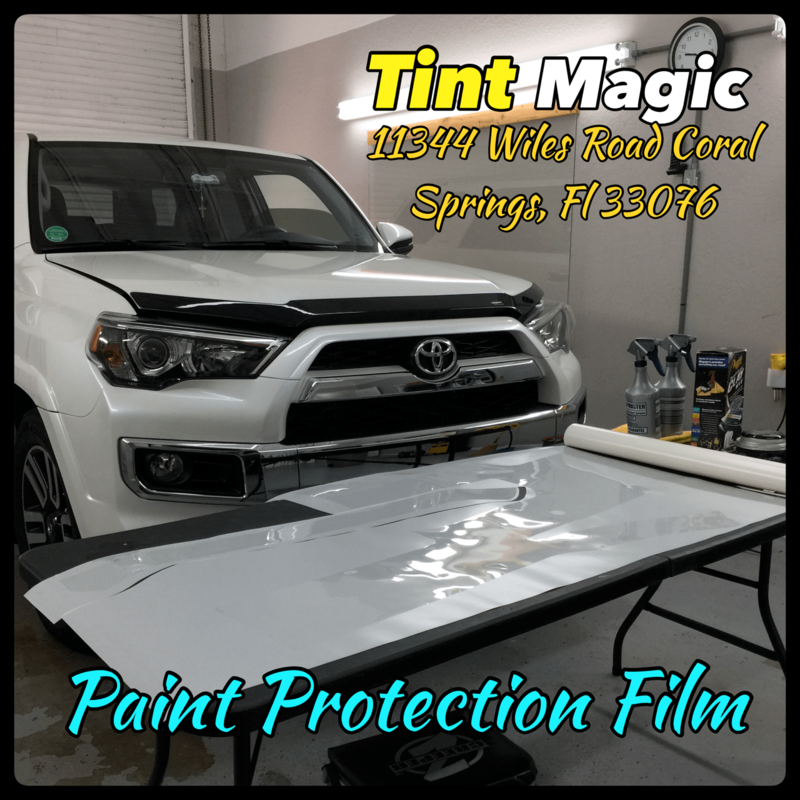 Toyota 4Runner Paint Protection Film at Tint Magic Window Tinting. -A proprietary self healing top-coat that is scratch and crack resistant with high-gloss finish. In a world built for crossovers, the 4Runner is one of the last mid-size SUVs to share DNA with a pickup truck. That’s great for drivers who need a 5000-lb tow rating or who spend weekends off-roading; for those accustomed to the smooth ride and swanky interiors of car-based crossovers, however, the 4Runner may fall short. Available with just one powertrain—a 4.0-liter V-6 with 270 hp and 278 lb-ft mated to a five-speed automatic transmission—this beast is outdated and a little sluggish. The Toyota 4Runner remains what it has always been, an SUV with pickup-truck DNA. It has a solid rear axle and body-on-frame construction. Order four-wheel drive, and you get a two-speed transfer case with a low range in the SR5 and Trail models. (The Limited gets a full-time all-wheel-drive system with no low range.) This is how SUVs used to be built, when gas cost less than a buck a gallon, back before the term “crossover” entered the automotive lexicon. Most automakers have abandoned this original SUV formula in favor of the lighter, carlike, more fuel-efficient crossover. The 4Runner’s closest competitor, the Nissan Xterra, was discontinued last year. But the 4Runner remains true to its roots and is now one of the last of its species. For the off-roaders, the Trail and Trail Limited models offer Toyota’s Kinetic Dynamic Suspension System (KDSS), which electronically disconnects the anti-roll bars to ease wheel articulation.